The goal of Mototrainer® is to allow everyone to use their bikes on all the circuits in the world, at an affordable price, and to train body and mind. We believe that the excitement of riding one’s motorcycle more often helps anyone to get stronger and feel better. In this way distances and weather conditions will no longer be a problem, with Mototrainer ® folding space to overcome the limits of physics. 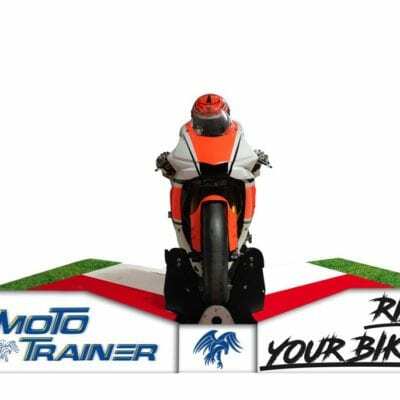 Mototrainer® Motorcycle exercise and training machine.